Excerpt of artwork by Geraldine Aikman. Between bone sniffing pooches, bogus photos, and countless media posts, the 80th anniversary of Amelia Earhart’s disappearance has spawned a lot of news. Echoes of the over-hyped Jaluit photo had hardly begun to subside before the image was soundly debunked. 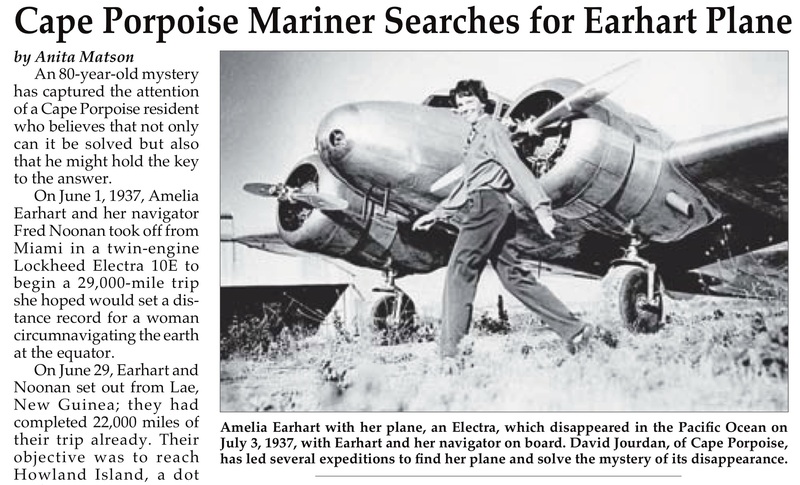 Meanwhile, Nauticos has been working steadily to scan the seafloor near Howland Island where Amelia was headed, seeking her lost Lockheed Electra in the deep ocean. Our last expedition, concluded in April, failed to find any trace of the plane, but eliminated another large area of the seafloor. 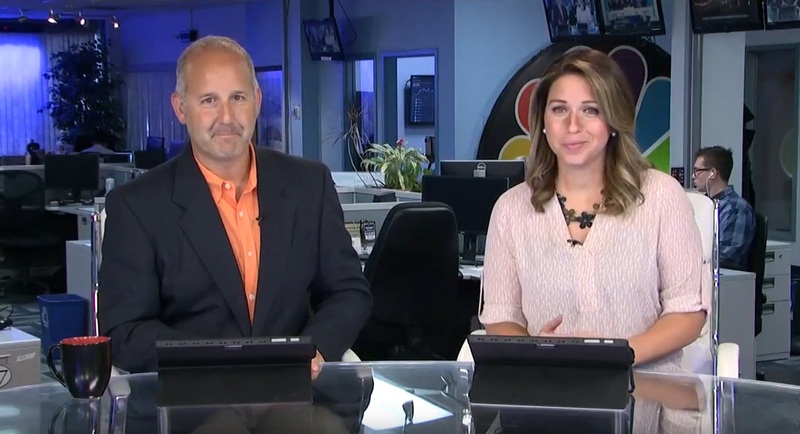 Though we don’t make a big deal about what we haven’t found, local media has taken note of our efforts, including a very nice article in the local Southern Maine Tourist News, and an interview on Portland’s WCSH Channel 6. We appreciate the support of our friends and neighbors, and look forward to continuing the search. 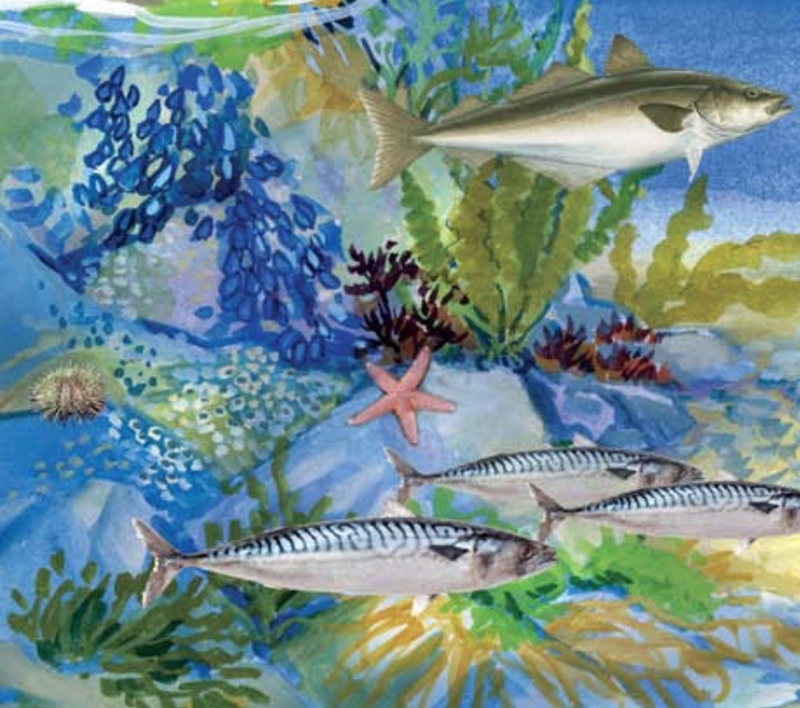 The Tourist News issue, entitled Secrets of the Sea also included a great article about the coastal environment, threats and survival, featuring wonderful artwork by local artist Geraldine Aikman.